A lot of great and free full version iPhone games are available on iTunes for you to download and play at no cost. These free iPhone games come in many different genres and some are just as good as the premium stuff you may want to buy. With so many free full game apps for iPhone to choose from, here are some of what I consider to be the best free iPhone games. These will run on an iPod Touch and iPad, too. After spending $500, wouldn’t you want some free iPad games? Games like Touch Hockey: FS5 are absolutely perfect on a device like the iPhone or iPod Touch. 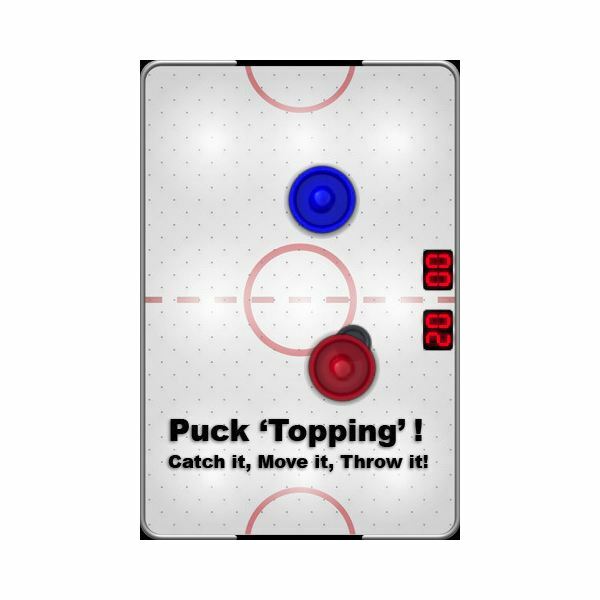 This completely free full version game is an air hockey simulator. You use your finger to control the slider and it works just like real air hockey. Just look at the screenshot and you know you want to play it. This game sports a ton of features most often found in paid apps, and is still completely free. TapDefense is widely considered one of the best free games on all of iTunes, and it helped pave the way for a wide variety of similar games. This is a ‘tower defense’ game where you strategically place weapons around a map and blast awaiting enemies as they come through. The game is simple to learn, and can be quite addictive as you devise clever ways to arrange your weapons in order to inflict maximum damage. Space Deadbeef (weird name, huh?) 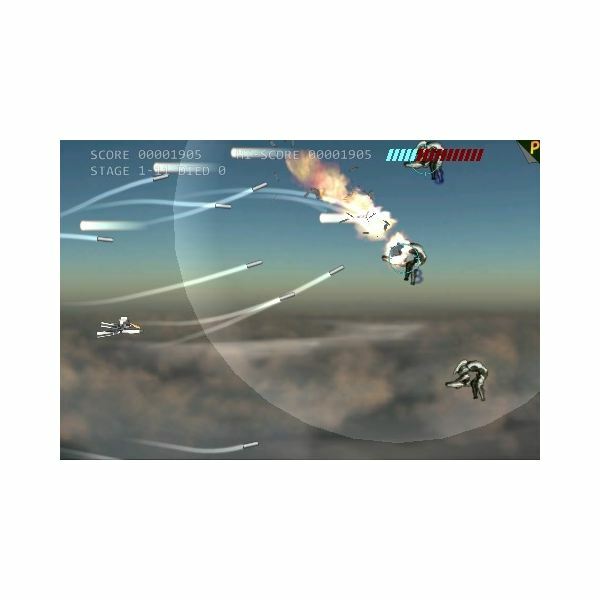 is a side scrolling space shooter game sort of in the style of the classic Atari game of Defender. 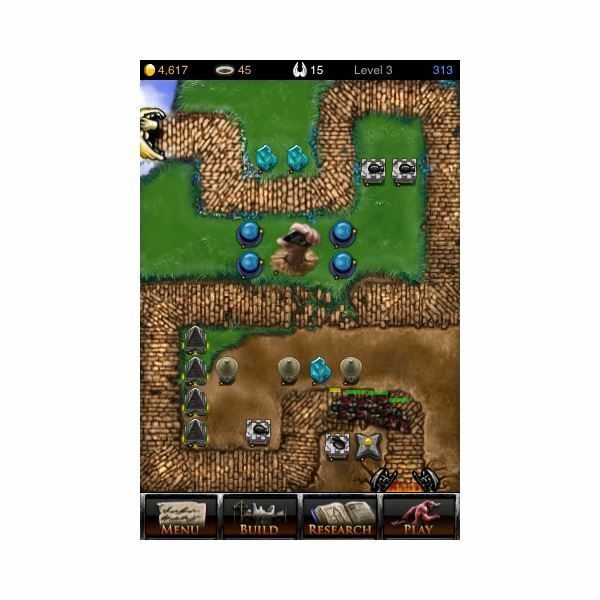 It’s a completely free game where you tap on enemy units to fire at them, and the graphics are pretty good. The game itself is somewhat limited compared to other paid shooters, but this one is totally free. Definitely give it a try if you dig space combat games, and be ready for a challenge. Just in time for summer, check out Waterslide Extreme for a waterslide simulator. This great game lets you play as if you are sliding through a series of winding tubes on giant waterslides in mid-air. You tilt your iPhone or iPod Touch to steer yourself through the curves, and the graphics are really good. It’s a simple concept that is incredibly fun and addictive to play. This game reminds me of that scene in Bill & Ted’s Excellent Adventure when they take Napoleon to the water park. 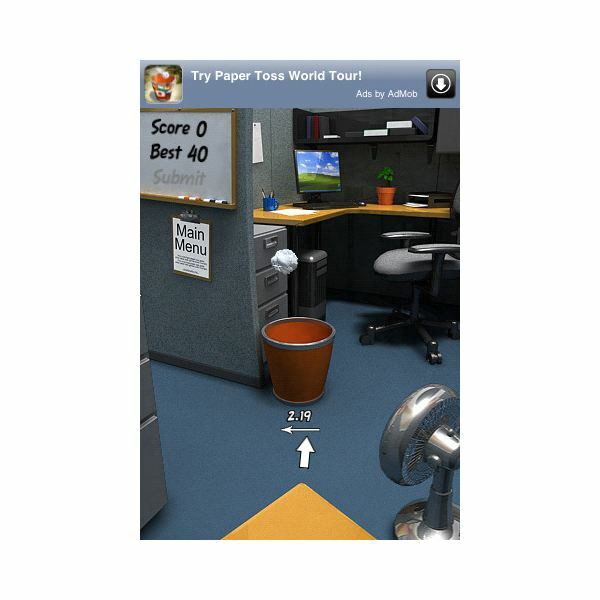 Paper Toss is an ad-supported game where you try to toss balled-up wads of paper into a small garbage can. It sounds kind of silly and simple, but some of the best games are just that. Who hasn’t wadded up a piece of paper and tried to throw it across the room into a basket? This is the ultimate game for someone who works in an office environment, since the levels are designed around the business world. You simply flick your finger across the screen in order to toss the paper ball, and what makes it challenging is that fans are set at various speeds on either side of the screen to blow the paper around, so you have to get the trajectory just right to make it to the basket. Both Zombie Farm and Pocket Legends (3D MMO) get an honorable mention since the base game is free, but there are in-app upgrades you can get that cost actual money. For that reason, I don’t think they are truly free games since they hook you into the game play then more or less require you to buy something to keep going. They are still worth checking out for starters, but don’t be surprised if you soon find yourself compelled to spend some real money.